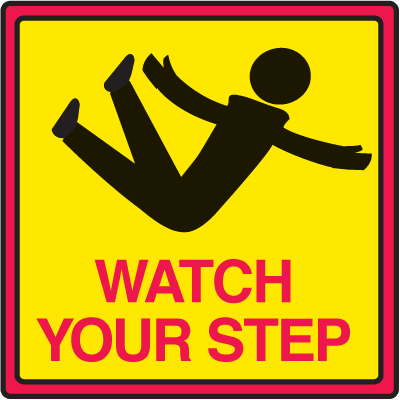 Prevent slips, trips, and falls in and around your facility by using Watch Your Step signs in accident prone areas. These signs tell people to exercise caution and warn them about possible hazards in the area. 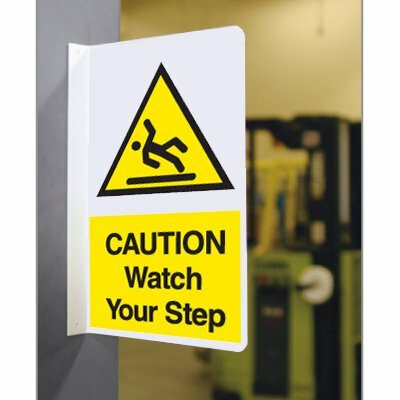 These safety signs carry universally recognizable graphics and easy to understand wordings that are and can be easily understood by everyone in your facility. Choose from a wide variety of materials that can withstand different types of environments, depending on where you plan to use your signs. These Safety Caution signs also come in different sizes, colors, and standard OSHA headers to suit your safety requirements. 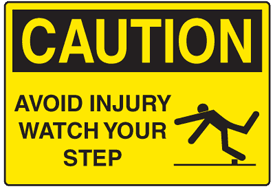 Slips, trips, and fall accidents are among the most common workplace accidents around. While some would think that these are non-issues and all you get from these are scraped knees or slight bruises, these can actually lead to severe injuries if not properly addressed. 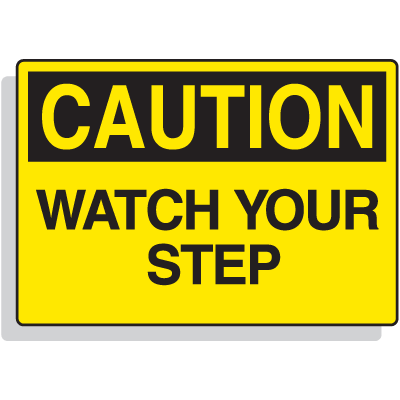 Use Watch Your Step signs and other similar safety signs to minimize workplace accidents. 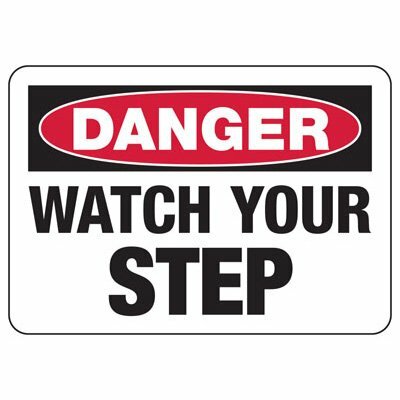 Seton carries a large selection of safety caution signs, and our Watch Your Step signs is just one of them. 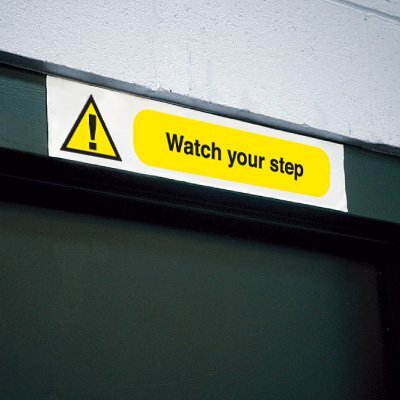 We provide you with a variety of signs that are aimed at keeping your employees constantly mindful of workplace hazards. 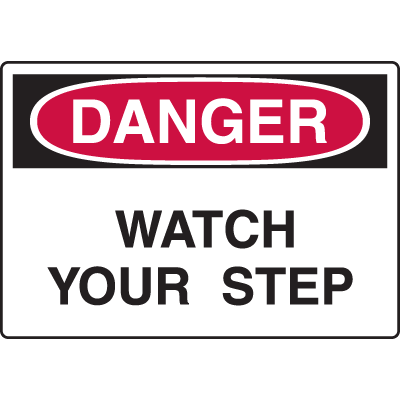 Aside from keeping your facility compliant, using OSHA approved signs creates a blanket of security. As part of Seton’s goal to help make your facility safe, we have a wide selection of OSHA safety signs that will fit your facility’s safety needs. 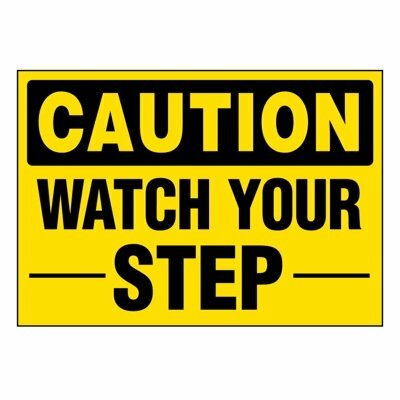 These Watch Your Step signs are available in different standard OSHA headers, in recommended sizes and material specifications. 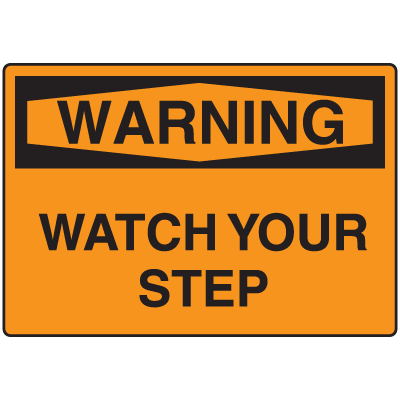 Our Watch Your Step signs also come with a variety of mounting options to make installation faster and easier.